Timetabled Northern services are to be steam operated on the Settle to Carlisle route for three days during February 2017. In a partnership between Northern, Network Rail, DB Cargo, the A1 Steam Locomotive Trust and Friends of the S&C together with Rail Magazine, steam hauled trains will replace diesel hauled services on 14th - 16th February. Normal diesel powered trains will be replaced by Mk 2 Carriages hauled by A1 Pacific 60163 Tornado. 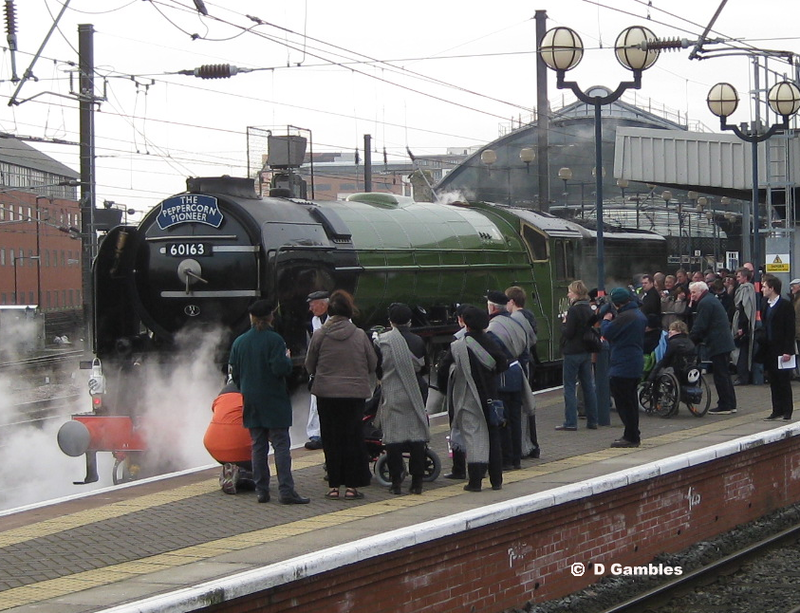 These will be the first ordinary scheduled mainline services to be steam hauled for 50 years, no special fares will be charged and passengers buying tickets in advance or from National Rail Ticket offices will be allowed to travel. The 10.45 ex Skipton and 15.07ex Appleby will be steam hauled supplemented by morning and evening extras, running in the reverse order. The through route on the S&C has been severed since February 2016 and should re-open again on 31st March of this year. In the meantime it is hoped that this February steam scheme will help to revive the economic fortunes of the line which has seen a dramatic drop in passenger numbers since the landslip closure. One of the current promotions on offer is the Settle & Carlisle Day Ranger ticket which offers unlimited travel for £15 and less 1/3 discount for railcard holders. The Day Ranger ticket can only be purchased at any staffed station ticket office or from the conductor on the train.